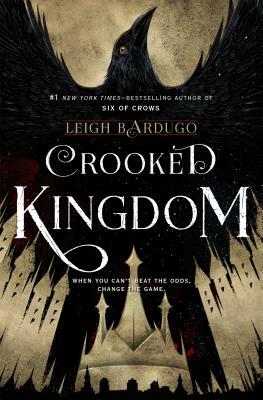 First: I would highly suggest you read (or re-read) the other seven books in the series before tackling this one. It’s been more than two years since the last book came out, and if you’re anything like me, you won’t remember what’s going on. Also: it’s a fantastic experience reading one right after the other, seeing how Kibuishi has fit everything together and foreshadowed events throughout the series. That said, there really isn’t much to say. The resistance is fighting an Incredible Battle Against Impossible Odds. Emily is fighting for control with the Voice of the Amulet. Everything seems dire. And, no, it doesn’t quite end here. There’s one more (it does say “to be concluded in book nine” at the end). But, Kibuishi’s art is still amazing, and the story telling still spot-on. And the characters still worth adventuring with. I will be incredibly sad to see this come to an end after so many years, but I’m sure it will be completely worth it. Content: Simple sentences, lots of illustrations, and some bad puns (and underwear humor). It’s in the beginning chapter book (grades 1-2) section of the bookstore. 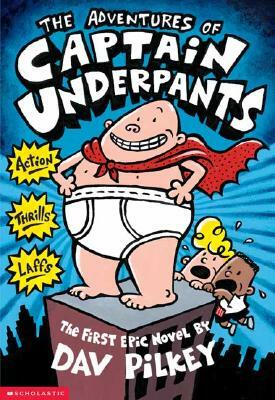 I don’t know how I made it this far, with kids and as a bookseller, and not have read any of the Captain Underpants books. I mean, I knew about them and all… and even some of my girls have read them. I just never did. My thoughts? It was very silly. There’s not much else besides silly. I can see why kids like these: they read fast, and they’re silly. Pretty much it. At least I get it now? Content: Simple words and illustrations. It’s in the beginning chapter book (grades 1-2) section of the bookstore. This is another series I’ve sold and my kids have read, but I’ve never bothered with. 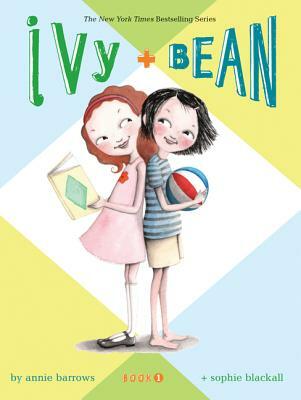 It’s about how Bean, an adventurous 7-year-old, and Ivy, a more imaginative 7-year-old became friends. I thought it was cute. Bean reminded me a lot of Ramona, especially in her relationship with her older sister, Nancy (who’s 11). Bean’s kind of rude, rambunctious, mischievous, and definitely prone to getting into trouble. She becomes friends with Ivy, who is a more creative, imaginative child, one day when she tries to play a trick on Nancy that backfires and Ivy comes to her rescue. They then combine their interests and try to place a spell on Nancy. I think Barrows captured the crazy imagination and “games” (as my kids called them) of 7-year-olds, and it made for a very delightful book. 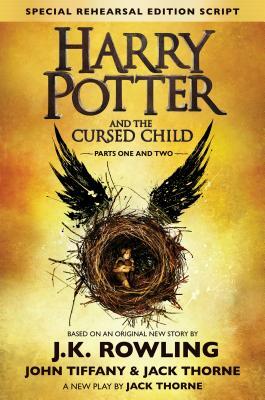 Content: It’s got more words and characters than other series books; it’s probably better for older readers. Warriors, and all the accompanying series have their own section at the bookstore. So, I have to admit: I’ve been wondering what all the fuss is about this series. 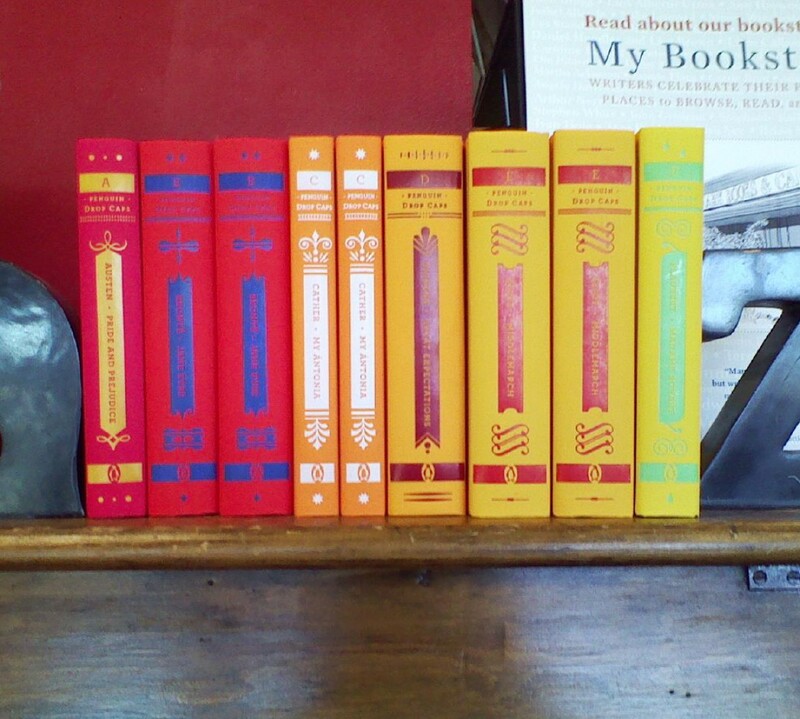 We sell it hand over fist (so much that it, like Magic Treehouse, has its own shelf! ), and so there must be something about it that appeals to kids. But, for the life of me, I don’t know what that is. 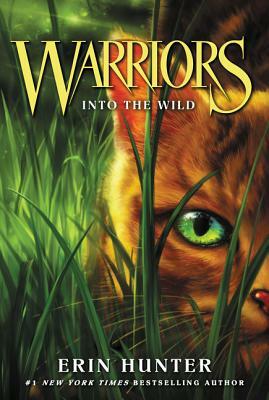 The basic plot is that in this forest there are for clans of cats, that are always at odds with each other over territory (because food is scarce) and a house cat named Rusty decides to run away and join one of the clans. I’m sure something else happens, but honestly? I couldn’t finish it. It’s not just that the writing was terrible. (Okay, it was passable, but it got really grating after a while.) It’s that I just didn’t care about the cats. I don’t care about their hyper masculinity (and all the warrior cats were male, the female cats were called “queens” and relegated to the nursery, except for the overall leader, which just seemed like a bone they threw) and their territorialism (really? This is what kids are reading? No wonder we’re so divided. If the ThunderCat Clan and the RiverCat Clan can’t get along, there’s no hope for us!) and the monologuing… It was all just Very Bad. Riordan, R. (2008). 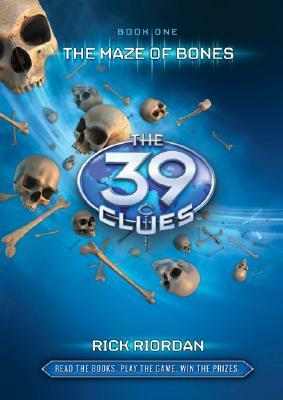 The 39 clues: The maze of bones. New York, NY: Scholastic Press. Genre: Multi-author series book, realistic fiction, puzzle book. Book Summary: Amy and Dan Cahill have always been the favorites of Grace, the matriarch of the huge Cahill family. Now, upon her death, they (and other members of the vast extended Cahill family) are given a choice: $1 million in inheritance, or the first of 39 clues that will give the winner power and access to the Cahill family’s vast secrets. Of course, Amy and Dan take the clue, which leads them on a wild and often dangerous race against the other members of their family (who are sufficiently horrible) as they try to figure out the clue and where to go. Impressions: This was so much fun! (Of course: Rick Riordan wrote it.) I’ve said this before: Riordan knows how to pace a book (or at least did when he was writing the original Percy Jackson series; he’s not been as tight lately) and knows how to keep a reader turning pages. And this one was no exception. I liked the play between Amy and Dan — they really felt like siblings, sometimes fighting but usually cooperating to reach a shared goal while looking out for each other. I can see why kids liked this, and wanted to read more. My only drawback is that Riordan didn’t write the whole series (each book was a different author), so I wonder if the characterizations of Amy and Dan would change slightly with each book. Uses: This would be good for a summer reading group (one that reads the first in a series? Maybe just a 39 clues club? I might use this idea one summer) for 3-5th grade kids. York: The Shadow Cipher by Laura Ruby — Siblings Tess and Theo Biederman and their friend Jamie Cruz follow clues left by genius inventors — the Morningstars — in a quest, full of danger and intrigue, to hopefully save their apartment building. The stakes may begin small, but they soon realize there is much more at stake. Chasing Vermeer by Blue Balliet — A Vermeer painting — A Lady Writing — has been stolen. Demands that Vermeer’s paintings be reassessed have been issued as a ransom. Two sixth grade students — Calder and Petra — start looking at information in new and unique ways, taking no coincidence for granted, and solve the mystery finding the painting and catching the thief in the end. The Mysterious Benedict Society by Trenton Lee Stewart — Four gifted children pass a test to go on a secret mission to take down the Learning Institute for the Very Enlightened. I haven’t read it (yet; I picked it for my summer reading group this year), but it sounds fun. Content: There’s some dark undercurrents (but those will probably go over the heads of younger readers) and some violence. It’s in the YA section (grades 6-8) of the bookstore. So, Apollo is off on a quest, this time to figure out what Big Bad (really: he’s the worst) Nero is up to, and to get to it and stop it before Nero gets too much power. Tagging along with Leo and Calypso, they head to Indianapolis, where they find a huge mess involving yet another evil Roman Emperor to stop, battle ostriches, and a kidnapped oracle. Not bad, all things considered, and yet Apollo manages to make things worse. This one definitely has the feeling of a middle book (maybe because it is…). It’s not a bad book; Riordan knows how to pace an action-packed novel, and there’s enough pop culture references to nod and wink at the reader without it being overbearing. They sassy haiku are back (my favorite: Yeah we got the skills/Fake hexes and shooting feet/Teach you ’bout pancakes), which is always fun. 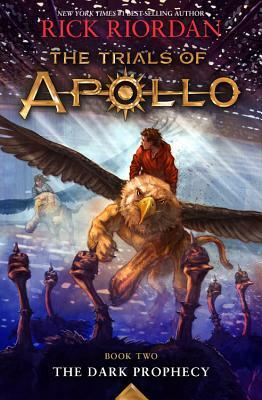 Apollo is much less unlikable in this one (he has his moments, but they’re getting fewer) and Riordan seamlessly weaves in ancient myths and stories. It’s much like all the others: good, fun, enjoyable, but nothing that sticks with you for long. Content: There’s some violence, a bit of romance. It’s in the YA section (grades 6-8) of the bookstore, but heaven forbid you stop a Riordan fan from reading these. It’s been a few months since we last saw Magnus, and he’s been managing okay out in Valhalla. 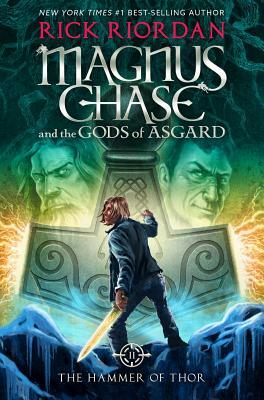 But, Loki’s up to his old tricks again, and Thor’s hammer is still missing, and Magnus and his friends are needed to stop him. The problem: Loki has promised the giant Thrym that Sam the Valkyrie (who’s Muslim and engaged already) will marry him. In just over a week. Of course this can’t happen, except for one thing: Thrym happens to have Thor’s hammer. The trick: getting Thrym to give up the hammer, while not releasing Loki from his imprisonment AND having Sam not get married. But, of course Magnus and all his friends — including Alex, a gender fluid character — are up to the challenge. Mostly. It took me a while to get around to reading this one, mostly because it’s just more of the same. Not that that’s bad; I love being in Riordan’s world when I’m there. But, I’m not as enthralled by Magnus’s part in the larger mythos as I hoped I’d be (I’m more interested in Apollo right now). Not that the story’s bad; it’s not. And Riordan’s fun and funny and maybe a bit too hip and contemporary, but I know (because A’s a huge fan) that the kids eat it up. It’s a good addition to the wider mythos that Riordan’s created, and I do appreciate that he’s definitely trying to be inclusive with his characters these days. It’s just not my favorite.